The Apostle, Dr. Kingsley Eruemulor is known all over the world as “The Apostle of Fire.” This mantle has been graciously placed upon him by the Father to release the fullness of the Holy Spirit in healing, deliverance, the prophetic and spiritual warfare. Dr. Kingsley Eruemulor is the General Overseer of GTIM Branch ministries. He is the founder of the School of the Spirit Ministerial and Leadership Training that is equipping believers across the world to make an impact in their generation. He is also the founder of the annual Prayer for the Nation conference which gathers together Pastors and Leaders from the Spiritual, Governmental and Local Community arenas in strategic warfare, praying for the country and it’s leaders. He is also the founder of the Gatekeeper Broadcasting Network, a radio and television ministry that is impacting the nations of this world with the Gospel of the Kingdom; the Gathering of the Eagles conference and No More Victims & Family Matters, a Community Development Corporation that is bringing freedom to those entangled in domestic, physical, spiritual and sexual abuse. Dr. Kingsley Eruemulor is sought after by many leaders throughout the nations to release an Apostolic mantle over regions that are heavily influenced with demonic territorial spirits. Gifted and anointed as a Pastor to Pastors and a Leader to Leaders, Dr. Kingsley Eruemulor derives great joy in utilizing what God has given to him to inspire and engage others in strategic planning and implementation of Gods’ vision. With wisdom and knowledge, he is determined to unify the Body of Christ and create opportunities through which the people of God can help each other to become quality contributors in their ministry roles. Apostle is deeply involved in breaking down walls of tradition and religion for the advancement of the Kingdom of God in the earth. He carries a great compassion for the lost, the hurting and the downtrodden, as he knows that God has put purpose inside of mankind; and through the Anointing, each can maximize their given potential to their ultimate capacity. Dr. Aleobe Eruemulor labors diligently with her husband, Apostle, Dr. Kingsley Eruemulor in the national and international assignment and vision given to them by the Lord. Dr. Aly is a lover of the Holy Spirit and expresses great joy in seeing the children of God, both young adults and seasoned believers, develop and intimate and passionate relationship with the Spirit of God. Graced with the Anointing of a Teacher, she operates prophetically and with the skillful precision of a surgeon, as she unfolds the Scriptures, line upon line and precept upon precept with the goal of helping the believer to see the awesome love and fear of the God they serve. Dr. Aleobe is widely sought out for counsel by doctors, colleagues and medical students from around the world for the wisdom she carries. 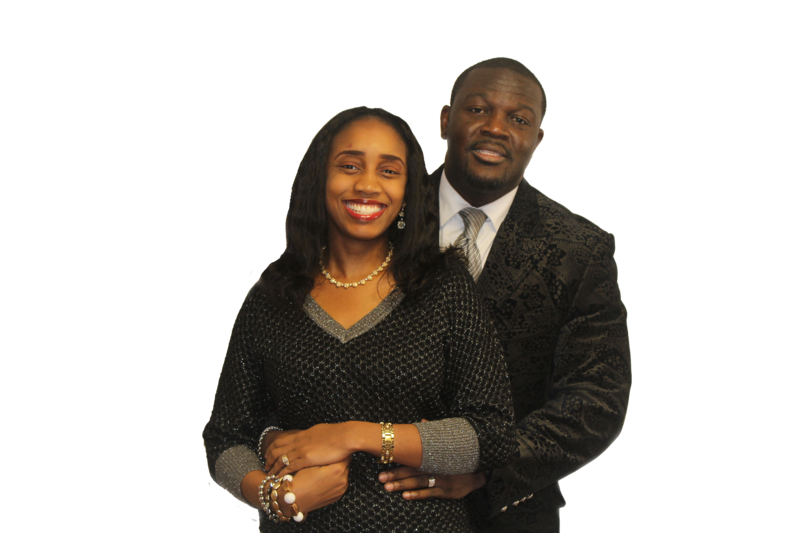 Apostle Kingsley & Dr. Aleobe are the proud parents of daughters Amarissa & Elizabeth and one son, Eric.